These days there's a veritable ocean of apps on the App Store geared towards manipulating your photos, be it the old guard of Instagram or the avant garde wannabes such as Prisma. But happens when a camera company that's built its legacy on hardware has a go at creating an app that's all about adding a bit of personality to your snaps? That's exactly what Polaroid is going for with its new (and currently iOS-only) software, Swing, an app that takes a single second of footage on your smartphone's camera. loops it and offers a series of filters and manipulation options. In an age where most people tend to communicate almost entirely with GIFs from Community and Game of Thrones, Swing certainly fits the 'in vogue' remit. The cool little twist here is the way you interact with these photos - rather than having them run on an infine loop, Polaroid Swing activates the one-second of footage when you touch the image or swing your phone around. It's a cool little touch that could make browsing normally static image gallery a little more unusual. Polaroid Swing was actually created in a partnership with the American camera manufacturer and a Silicon Valley tech startup chaired by Twitter co-founder Biz Stone, so this is no clearly no half-baked attempt at a popular genre. "Polaroid Swing has the potential to change the way we think about images, just like Twitter's 140 characters changed how we think about words," says Stone. "People will start seeing the world in one second moments. It's a genre-defining medium." While the app is currently only available on iOS, the developers have confirmed that a version is in the works for Android (sadly no release date on that one just yet). 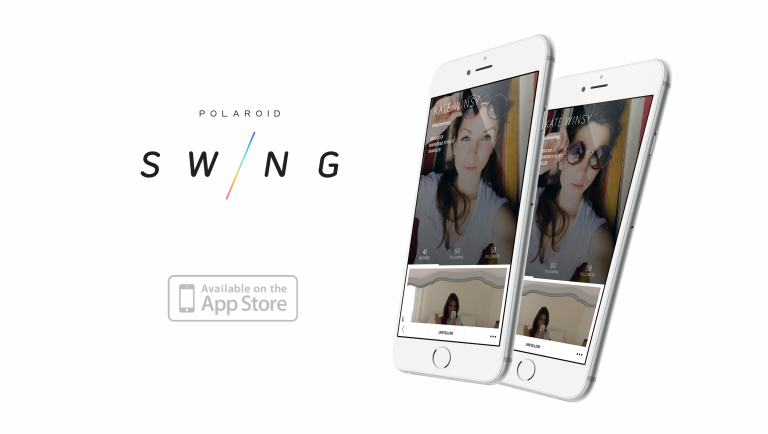 Polaroid Swing is available on the App Store now.